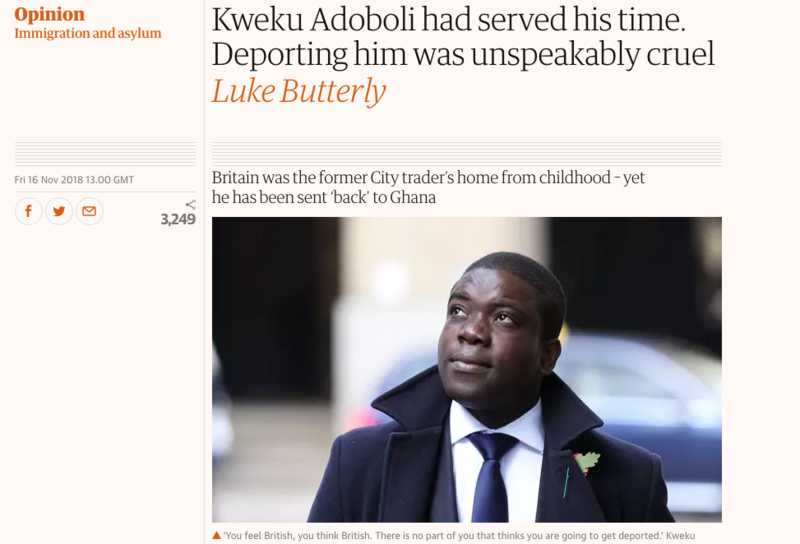 Kweku Adoboli, who had lived in the UK since he was 12 years old, was deported last week. We wrote in the Guardian about how this happened, and how his story is all too common. Read the full article here, and keep up-to-date on his campaign here.